OMG Posters! 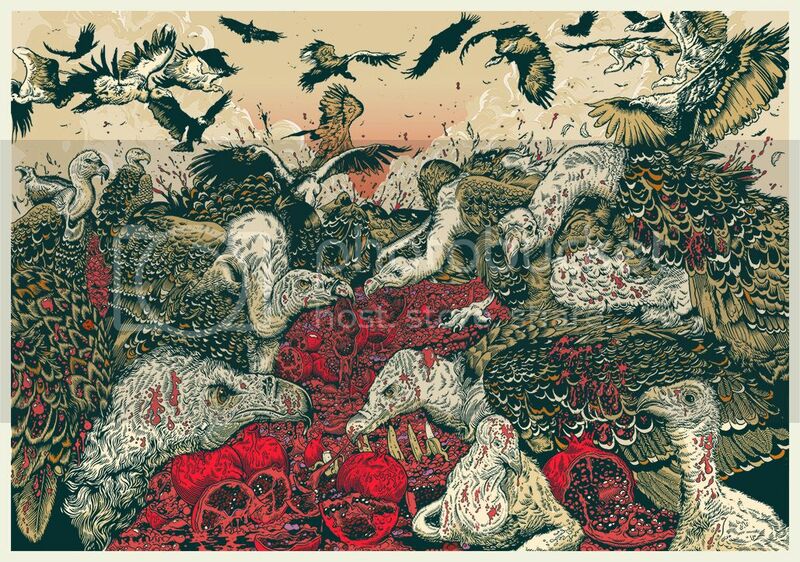 » Archive "Venue of Vultures Upon a Pomegranate" Art Print by Tim McDonagh - OMG Posters! Whoa, this is the craziest art print I’ve seen in awhile. Tim McDonagh’s “Venue of Vultures Upon a Pomegranate” is a 13.5″ x 18.5″ giclee, has a tiny edition of 25, and costs £25. You also get a free letterpress print. Visit his shop. Whoa! This is really great. This is pretty freakin’ sweet. Such a great idea and excellent execution! This is incredibly detailed.. Gorgeous!